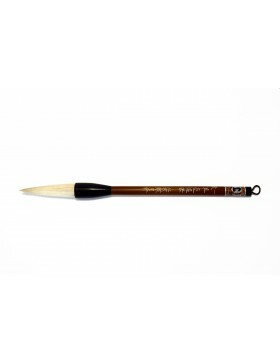 General use: They are recommended for any type of painting, be it landscapes, flowers and birds, quick strokes and other artistic styles. 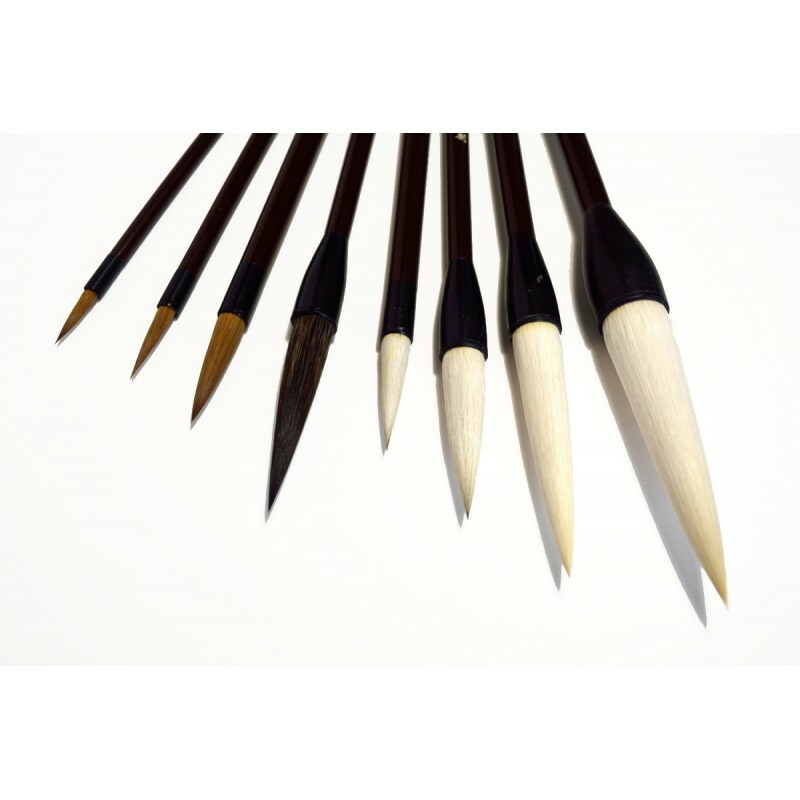 They are ideal brushes for the creation of your artworks. 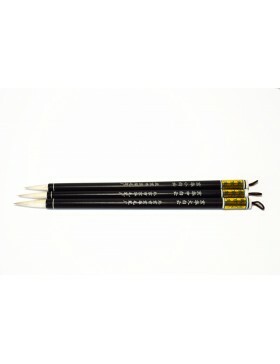 This a complete pack of eight brushes with diverse functions. 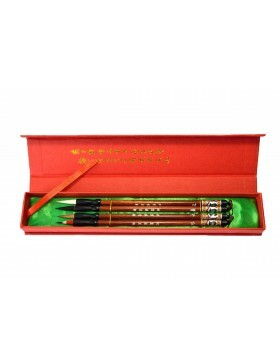 The brush selection has been made so that any pictorial technique can be realised: painting with fine attention to detail, painting with quick strokes, painting with black Chinese ink. They will aid you greatly in your creations of different subjects: flowers and birds, landscapes, portraits, animals... 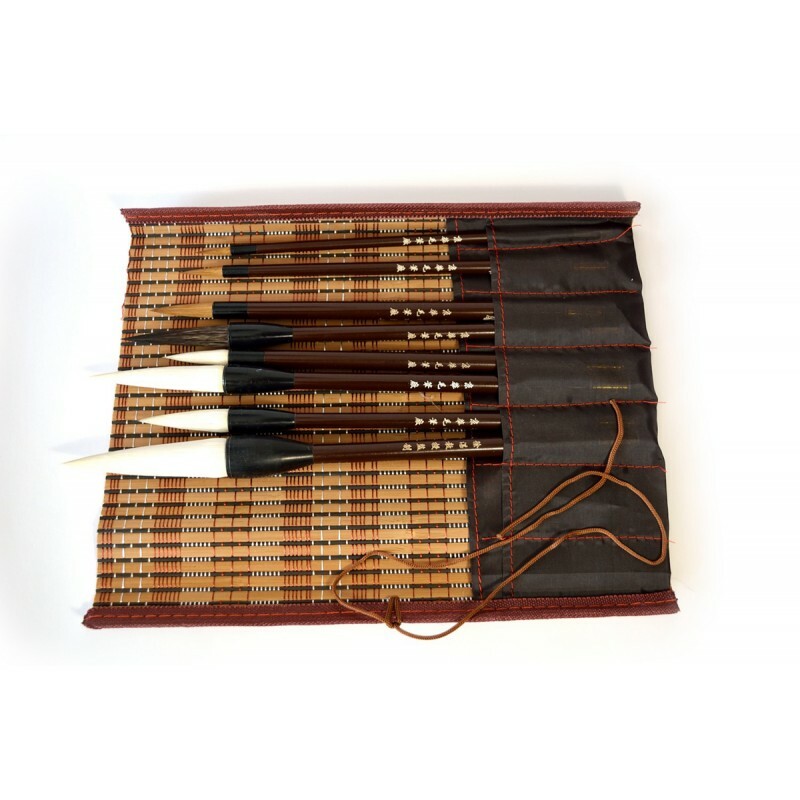 This complete pack of eight brushes is made by a traditional artisanal workshop of Beijing, which receives many prizes for its milenia old techniques of brush fabrication and their rigorous selection of materials. 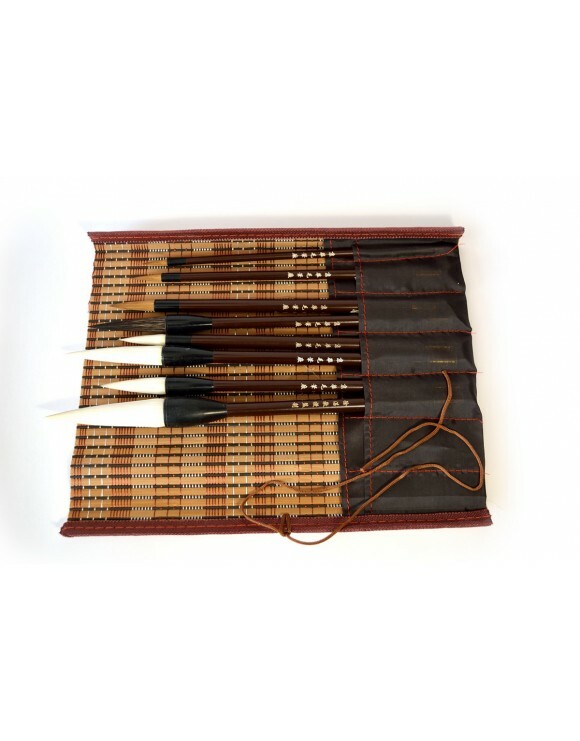 This pack is not only an ideal tool with which to create your artwork but is also simply a perfect collection of oriental brushes. 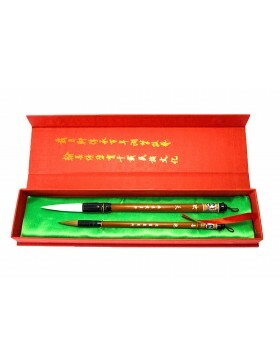 General use in the Orient: for painting lotus flowers, flower petals, etc. 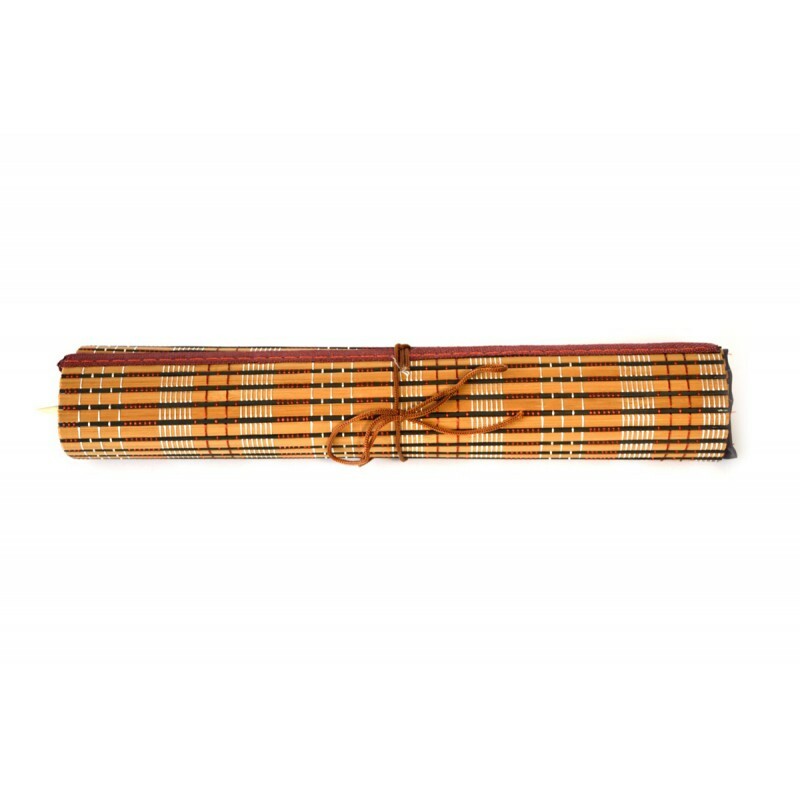 General use in the Orient: for painting branches, leaves, etc. 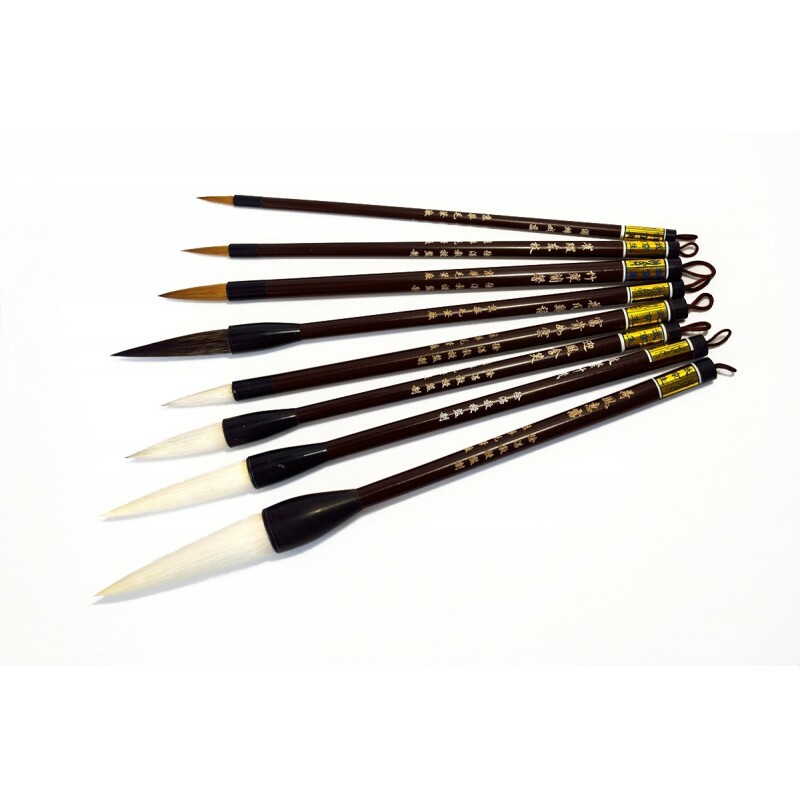 General use in the Orient: for painting flower tips, branches, etc. 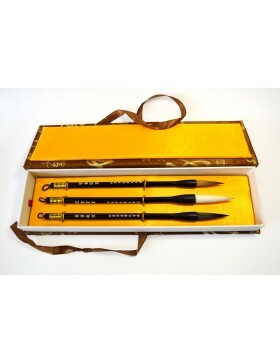 General use in the Orient: for painting flower tips, flower petals, etc. 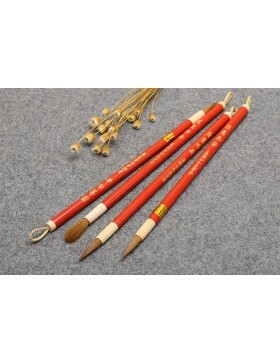 General use in the Orient: to paint oriental pavilions, to colour the image, etc. General use in the Orient: to paint bamboo, its branches and leafs, etc. 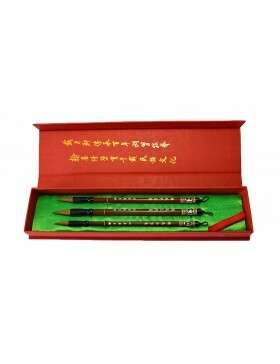 General use in the Orient: to paint details such as flower stamens and pistils, to write signiatures and poetry, etc. 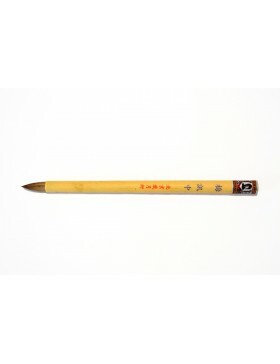 General use in the Orient: to paint details such as the border of objects, flower stamens and pistils, etc.